This painting was one of a series of paintings featuring young girls. Although the model in this painting is unidentified, it may well have been Fragonard’s daughter, who frequently worked as one of his models. 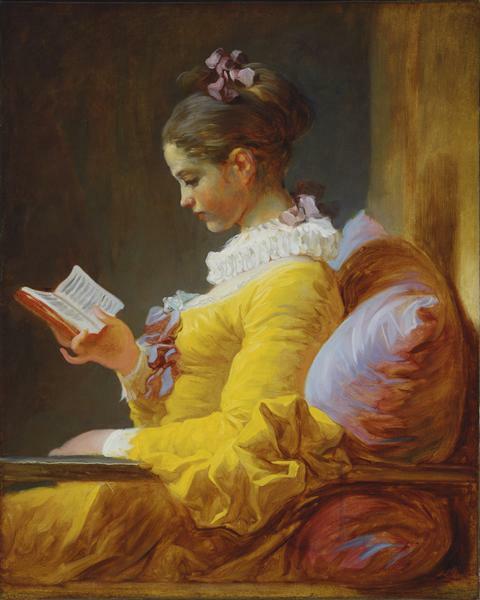 Contemporary x-rays have revealed that this painting, depicting a young girl in a sunshine yellow dress, deeply absorbed in her reading, was painted over a different image. 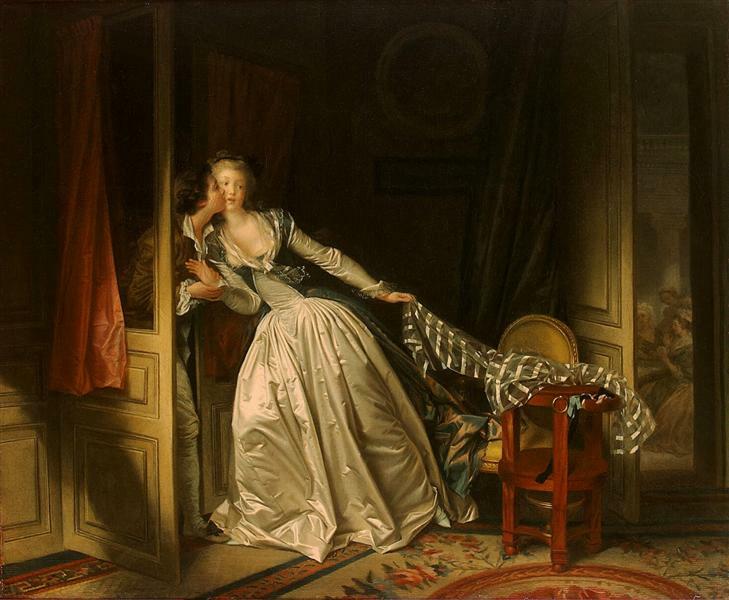 As in many of Fragonard’s paintings the viewer gets the impression that he or she is witnessing a private moment, and is at once struck by the beauty and intimacy as well as the desire to give the girl her privacy and let her read. 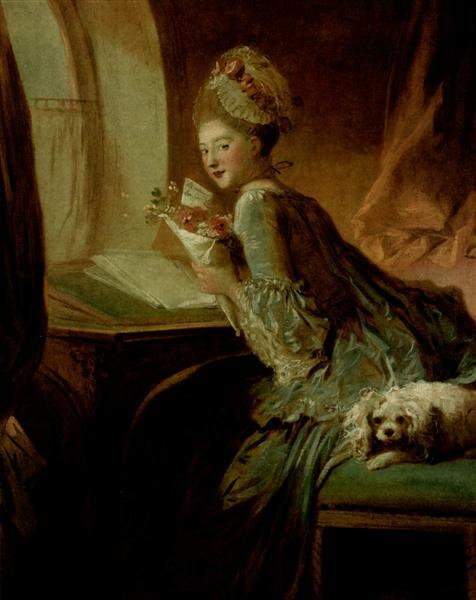 Young Girl Reading, or The Reader (French: La Liseuse), is an 18th-century oil painting by Jean-Honoré Fragonard. It was purchased by the National Gallery of Art in Washington, DC in 1961 using funds donated by Ailsa Mellon Bruce, the daughter of Andrew W. Mellon, following her father's death. Alisa Mellon Bruce was a well-known socialite in Manhattan and gained recognition in the art world from the numerous generous donations she gave to a variety of museums and art programs. 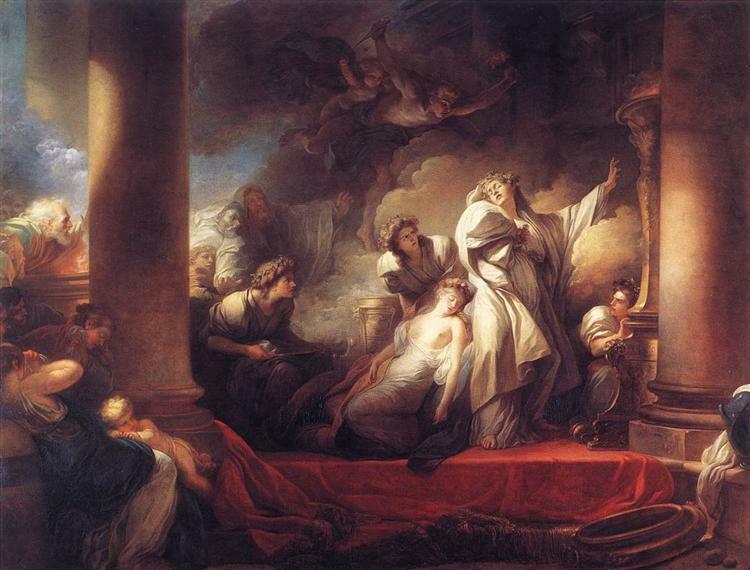 Jean-Honoré Fragonard had an extensive career. 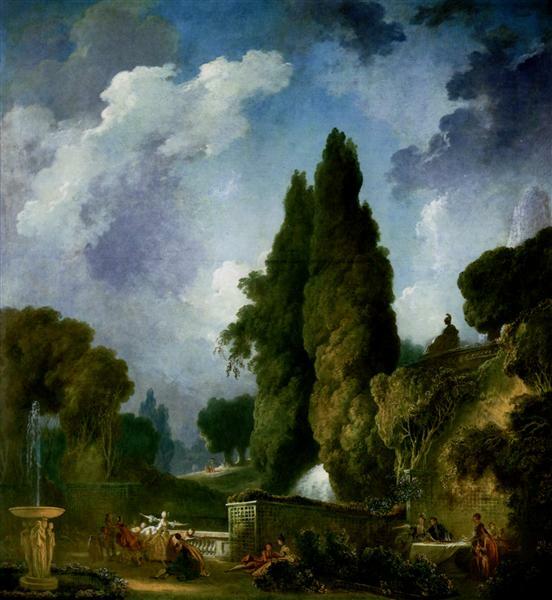 It began mainly in when Fragonard won the 1753 Prix de Rome with a painting titled Jeroboam Sacrificing to the Golden Calf. 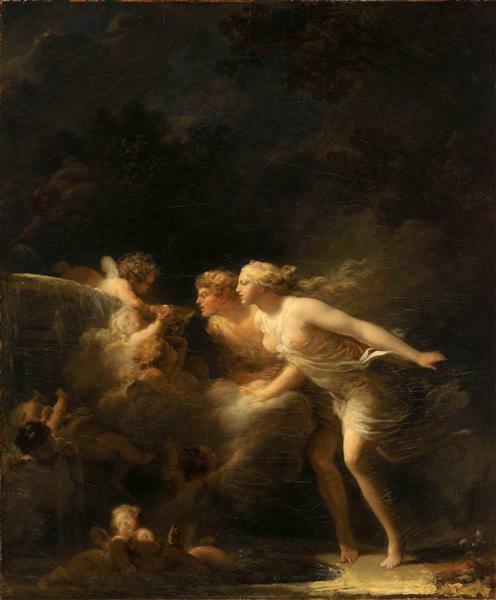 Soon after the takeoff of his career, Honoré became a prominent name within the Rococo artistic movement, which was filled light colors, asymmetrical designs, and curved, natural forms. 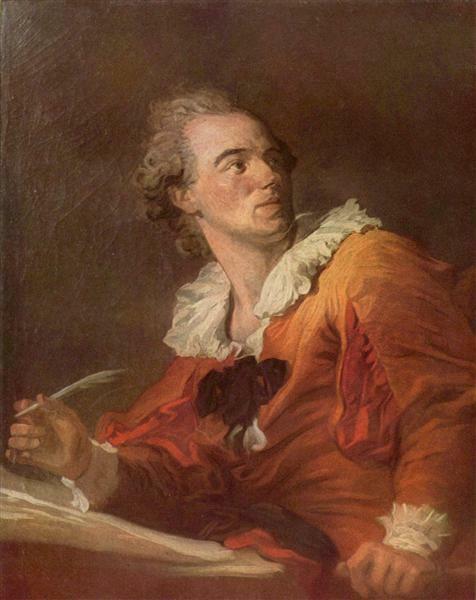 The Rococo style emerged in Paris during the eighteenth century, more specifically during the reign of Louis XV. This was due to the fact that during this time, the French upper class experienced a new social and intellectual freedom. As Petra ten-Doesschate Chu stated, “Aristocrats and wealthy bourgeois focused on play and pleasure. Grace and wit were prized in social interactions. 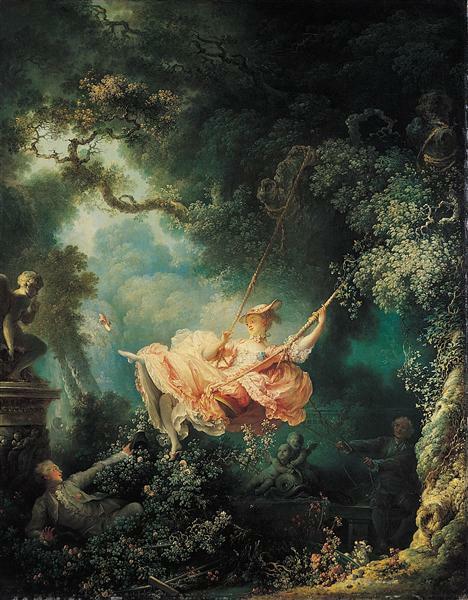 A new intellectual curiosity gave rise to a healthy skepticism toward well-worn truths.” Fragonard was most drawn to the playful lives and loves of the aristocratic youth of his day. The painting features an unidentified girl wearing a lemon yellow dress with white ruff collar and cuffs and purple ribbons. The subject is depicted in profile, reading from a small book held in her right hand, sitting with her left arm on a wooden rail and her back supported by a large lilac cushion resting against a wall. Her hair is tied in a chignon with a purple ribbon, and her face and dress are lit from the front, casting a shadow in the wall behind her. 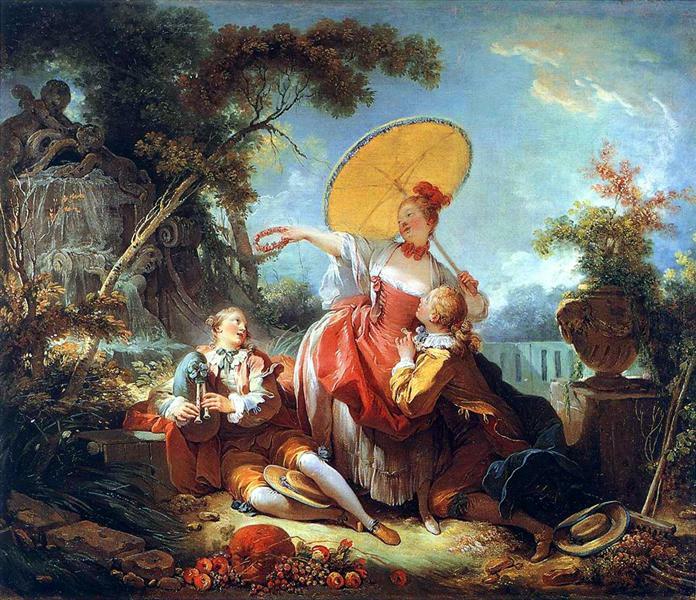 Fragonard pays close attention to the face, but uses looser brushwork on the dress and cushion, and the ruff was scratched into the paint with the end of a brush. The horizontal line of the armrest and a vertical line between two unadorned walls provide a sense of space and structure. The female figure in Young Girl Reading was meant to represent the natural essence of femininity. For starters, the dark wall in the background helps frame and emphasize the subject’s female form. 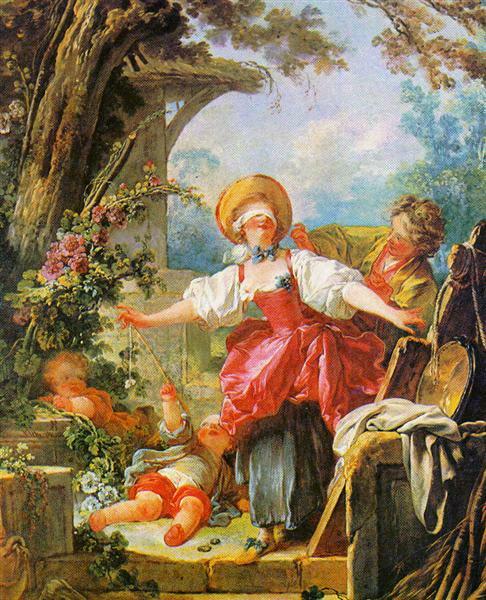 Fragonard pulls the figures hair up in a ribbon and to expose more of her neck, and also places a collar around the bottom of her neck, which both help elongate the female form. 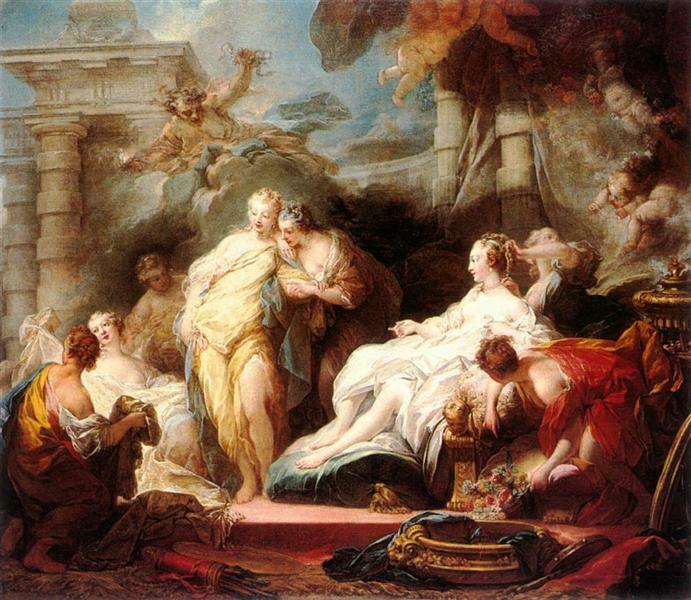 Fragonard makes the female subjects face have a rosy-tint to it, which adds a daintier and more delicate feel to the painting. When looking closely at the book the female subject is reading in Young Girl Reading, one will notice that there is no legible writing. This lack of writing adds a sense of mystery to the painting and begs the question of, “What is she reading and why?”, and could mean she is reading for pleasure, and not for academic purposes.